UMass Boston grad Gabriela Veloz (’14) and her CloudHealth Technologies colleagues talked to UMass Boston students about career opportunities in venture-backed startup companies. Remember those times when you’d wish someone just a little ahead of you would tell you what they did in the same situation, in the same season of life? Dan Phillips was in that situation in 1977. Speaking to 60 UMass Boston students on Wednesday February 6th who will soon graduate, Dan explained how he got a degree in political science. But he really wasn’t interested in that. What he knew was that he wanted to go into a field that was growing. He figured that was technology. So Dan got a job in a large company selling fax machines. Then another selling word processors. And a third selling office automation systems. Over time he noticed these large companies were experiencing intense competition from smaller startup companies that were more agile, focused, lucrative, and fun. So he decided to join a startup company selling ground breaking networking software, as director of sales. It went public 5 years later. He held stock as an early employee. “It was worth 10 cents and then it was worth 10 dollars,” he recalled. He would go on to three other startups as VP of Sales, COO then CEO. One of these companies also went public and two were acquired. Finally he co-founded his own company, CloudHealth Technologies, and sold it 6 years later for $500,000,000 to VMware. 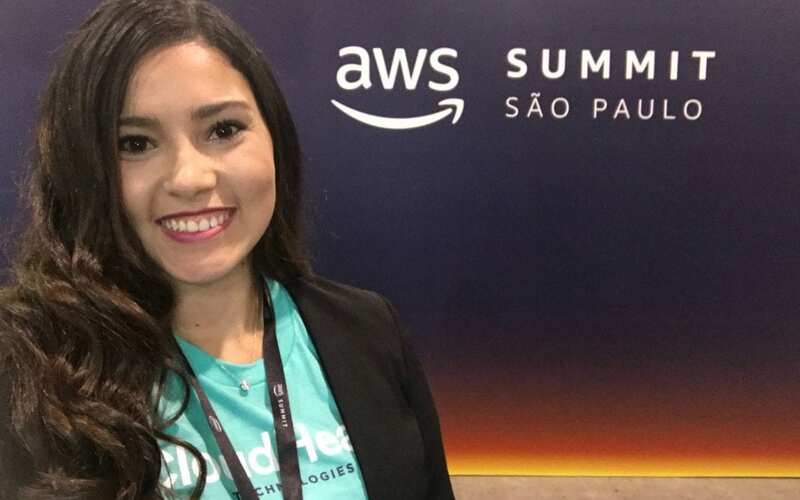 At the workshop, Gabriela Veloz, who works for CloudHealth, she said she was also unsure what do with her passion for international management when she graduated in 2014 from UMass Boston. Faced with a student loan kicking in, she worked as an assistant manager at a restaurant. 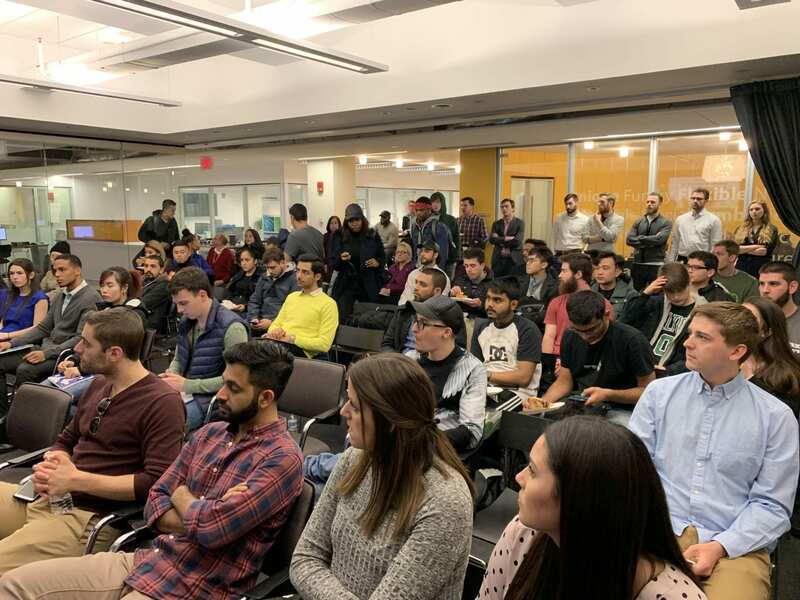 Then she heard about a workshop at the VDC, sponsored by LaunchSource, for recent grads interested in business careers in fast growing venture-backed startup companies. After the event, she landed a business development representative job at SnapApp, and eventually joined CloudHealth. There, within two years she was promoted 3 times. Today, she’s an account executive for Latin America, having pitched the company to create the position. Gaby was one of 15 employees of CloudHealth who Dan brought to the VDC to guide small groups of UMass Boston students interested in sales, marketing, data analytics and software development roles. Knowing how the roles evolve based on the stage of the startup is an advantage when it comes to career planning. So is knowing how to connect internally with the right people and learn what they need to know to turbocharge their careers. Gaby and her colleagues will continue to mentor UMass Boston students under an Entrepreneur Workforce Development and Scholarship program Dan created at UMass Boston when he departed CloudHealth. The first step is to help students search for 5 to 10 potential internships to apply to so they can discover what they like to do and are good at doing. The students have many choices. The Boston area is home to 242 startup companies that raised $7.5B in 2018. They have 2,393 open jobs and internships. These companies are looking for talented individuals like Gaby who graduated from UMass Boston. Because they don’t shy away from the hard work and hustle it takes to thrive.